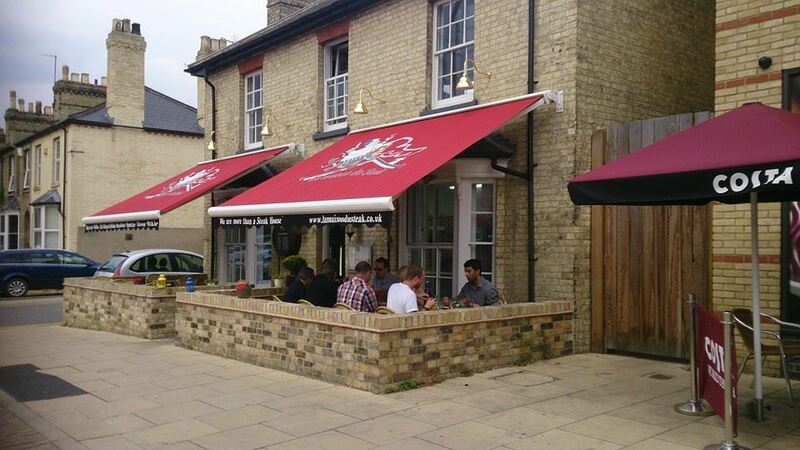 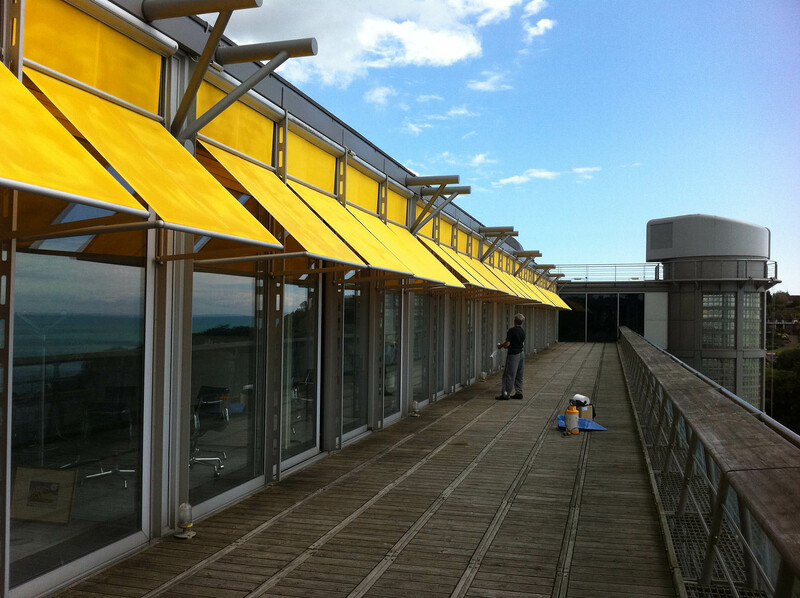 Our Awnings for commercial use are robust, contain sophisticated technology and are easy to operate. 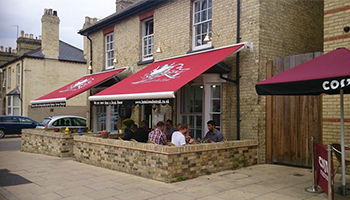 Like our domestic systems all our awnings and blinds are custom manufactured to your exact requirements and can be an excellent addition to your business. 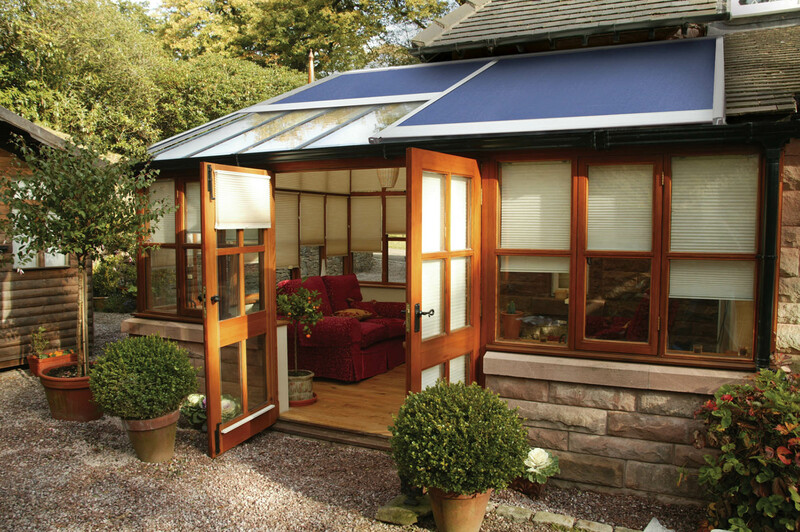 Fabrics can be sign written with a company name or logo. 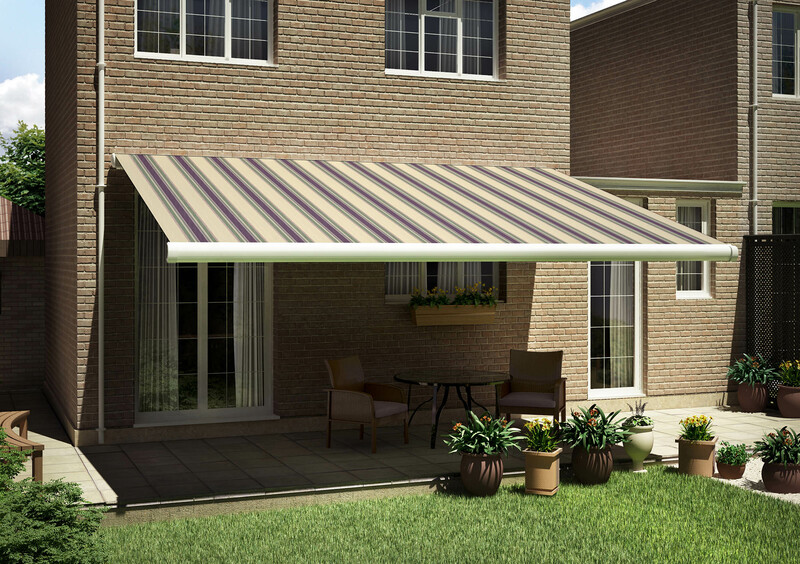 Domestic awnings not only protect your family from the sun’s harsh rays, they also help to prevent your valuable furnishings from fading and reduce the internal temperature of your home. 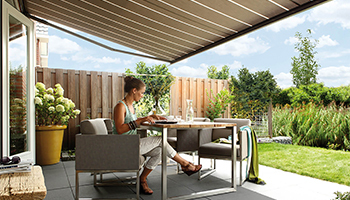 Ultimately an awning will expand your home into your garden and integral lighting and heating options ensure ample opportunity for evening use.